Prince Oama made the decision to decline Emperor Tenchi’s, his elder brother’s, offer of abdication, telling him that he instead wanted to be a monk and go to Yoshino. 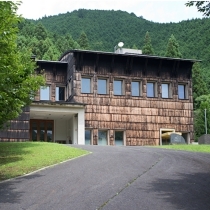 Prince Oama lived with his wife, later Empress Jito, in seclusion in Yoshino-no-miya, the imperial palace in Yoshino. After the death of Emperor Tenchi, Prince Oama defeated Otomo no Miko, or Prince Otomo, son of Emperor Tenchi, in the Jinshin Rebellion, a battle over the succession of the Imperial Throne, and was enthroned as Emperor Tenmu (673 – 686). 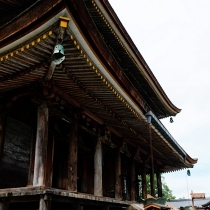 It is said that En no Ozunu used Kimpusen-ji temple as the main temple of Shugendō in the Heian period. 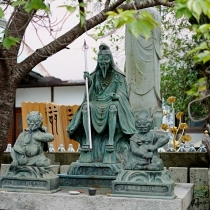 Three standing wooden statues of Zaō-gongen,which are ordinarily kept hidden from view, are enshrined as the principal images of Shugendō in Zaōdō, the main hall of Kinpusenji. This is why Mt. 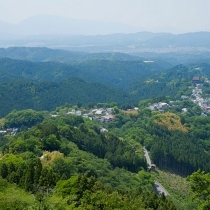 Yoshino is called the home of Shugendō. 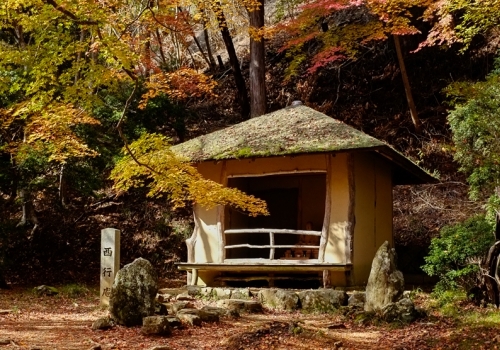 <note> Shugendo: Japanese mountain ascetic shamanism incorporating Shinto and Buddhist concepts. 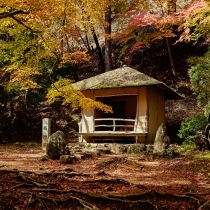 Minamoto no Yoshitsune was pursued by his elder brother Minamoto no Yoritomo and fled to Yoshino seeking refuge. 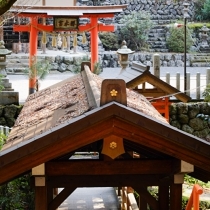 Yoshimizu-jinja shrine, a Shinto shrine on Mt. 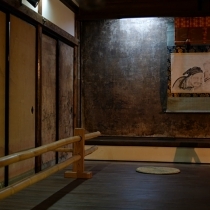 Yoshino, has a room in which Minamoto no Yoshitsune and his concubine Shizukagozen were hidden. 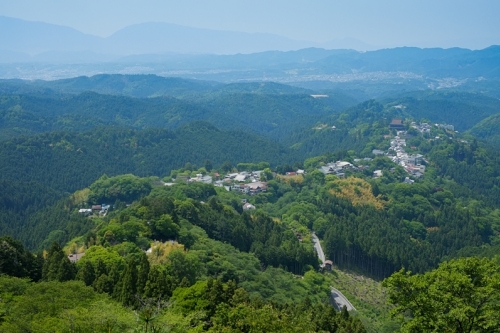 It takes about 5 minutes to get there on foot from Zaōdō. 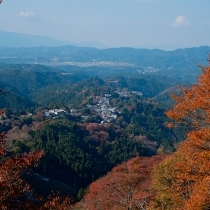 Saigyō, a poet who was respected by Matsuo Basho, the great master of Haiku, composed poetry on his love towards nature and his view of life. 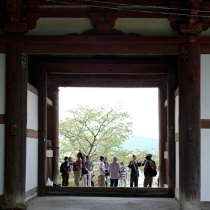 He is also well known as a poet whose poems were collected in the Shin Kokin Wakashu (1205), the New Collection of Ancient and Modem Japanese Poetry. He is said to have lived at a humble dwelling on Mt. Yoshino for three years. 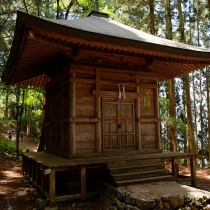 Saigyō-an, Saigyō’s hermitage, is near the shrine Kimpu-jinja. 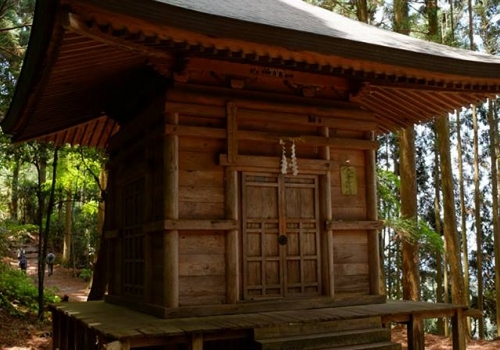 It takes about 15 minutes to get there on foot from the shrine. 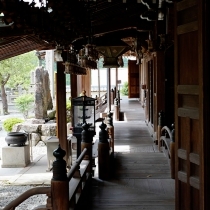 After the collapse of Kenmu no Shinsei, the New Administration of the Kenmu Era, Emperor Godaigo fled to Yoshino and established the Southern Court in Yoshino. 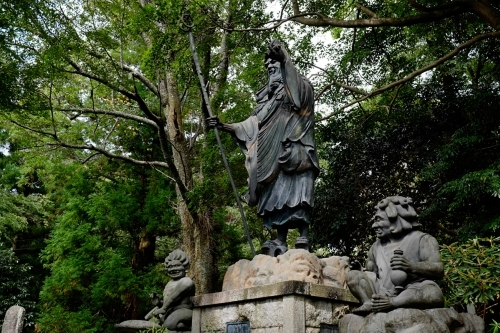 Emperor Godaigo temporarily stayed Yoshimizu-jinja shrine, Yoshimizu-jinja. 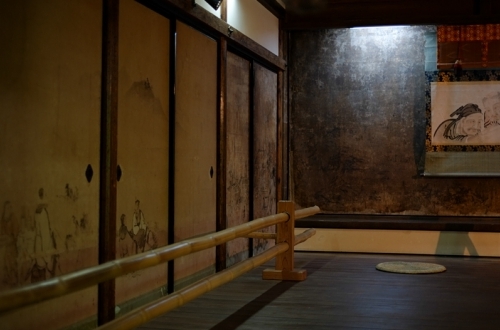 The shrine has Emperor Godaigo’s throne room. 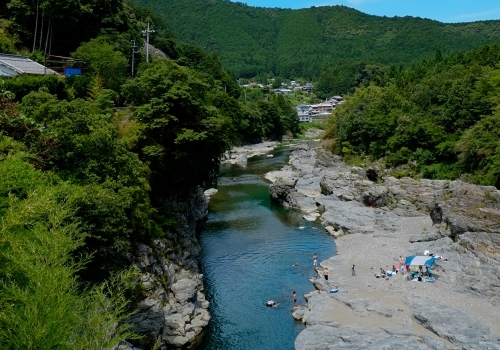 It takes about 5 minutes to get there on foot from Zaōdō. 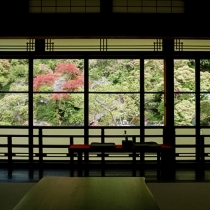 In 1594, Toyotomi Hideyoshi began the tradition of ‘Taiko no Hanami’, a formal cherry-blossom viewing event, on Mt. Yoshino. 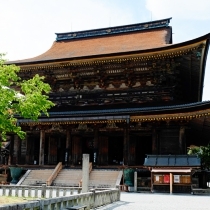 Yoshimizu-jinja shrine was the headquarters for 5,000 of Toyotomi Hideyoshi’s men at that time. 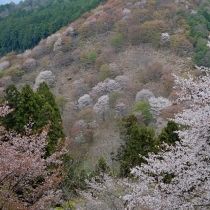 This is why the shrine is famous as the best place where one can view a vast number of cherry blossom trees at once. 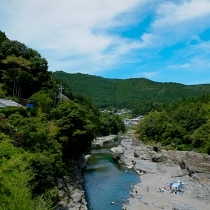 It takes about 5 minutes to get there on foot from Zaōdō.